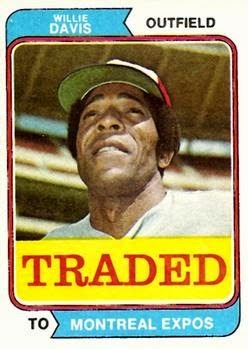 I have some dupes of the '74 Traded including a checklist (not sure if it is a marked or unmarked checklist) I need to check what I have. Some of these I have triplicates of. I'm mostly a DC/B'More teams guy (O's, Nats, Senators). I am currently working to "Strive for '65" in an effort to complete the 1965 Topps before next years 50th anniversary and my 50th B'day in April next year. I am hitting a card show next weekend, and the 74 Traded will be on my list to complete. I will let you know if I don't have much success. Thanks for stopping by!